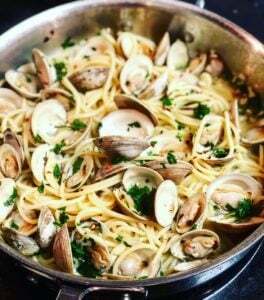 Spaghetti and Clams just may be my favorite dish of all time! 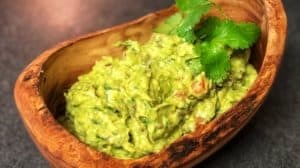 So simple to make, yet very elegant. 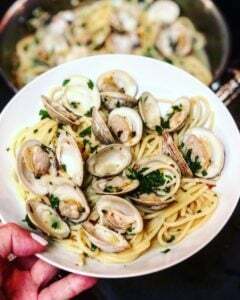 This recipe is quite similar to my Linguine with White Clam Sauce recipe, but a bit easier to make and prepare. You have 15 minutes? That’s all you need, plus a few simple ingredients to make dinner tonight…no more excuses not to cook more at home! 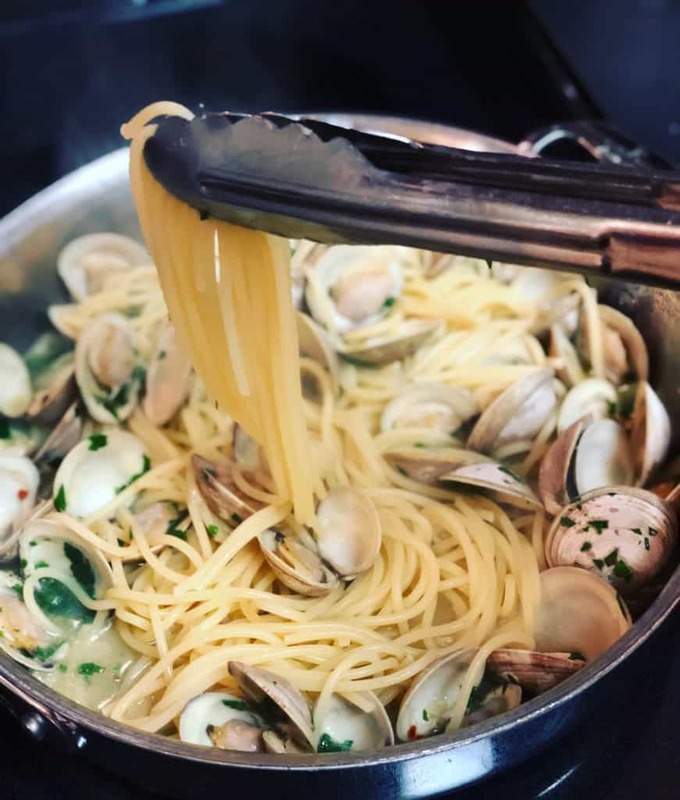 Start boiling your water for the pasta…cook to very al dente while you are preparing the clams and don’t forget to salt the water!!! Keep in mind, you will not be draining (and you should never…ever rinse) your pasta. 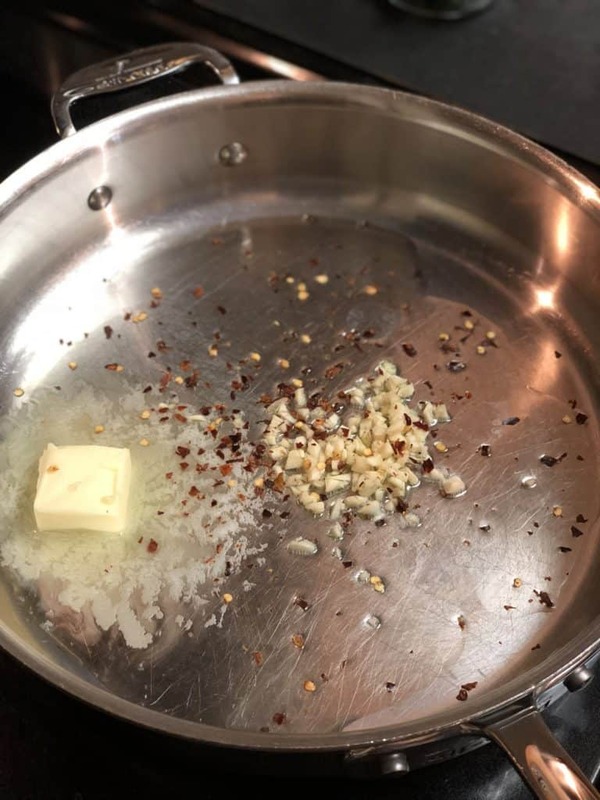 In a pan…I love using this pan from All-Clad…heat up the oil, butter, garlic and red pepper flakes. 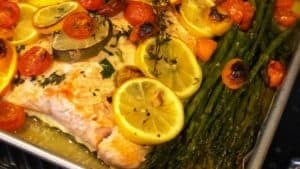 Do NOT burn…you only need to infuse the oil for about a minute on medium heat. 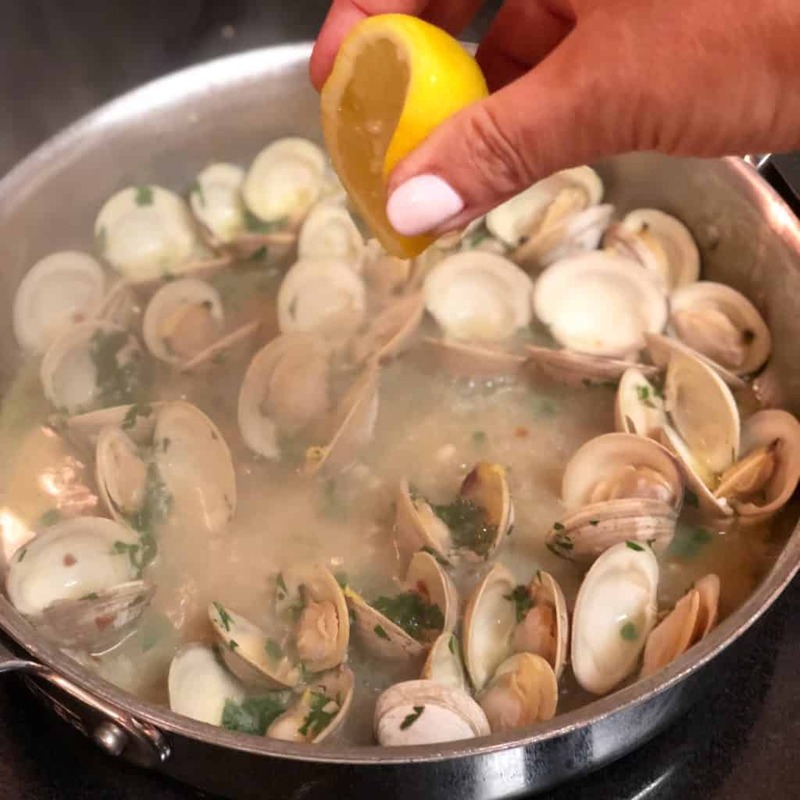 Add the white wine, clam juice, and the clams. 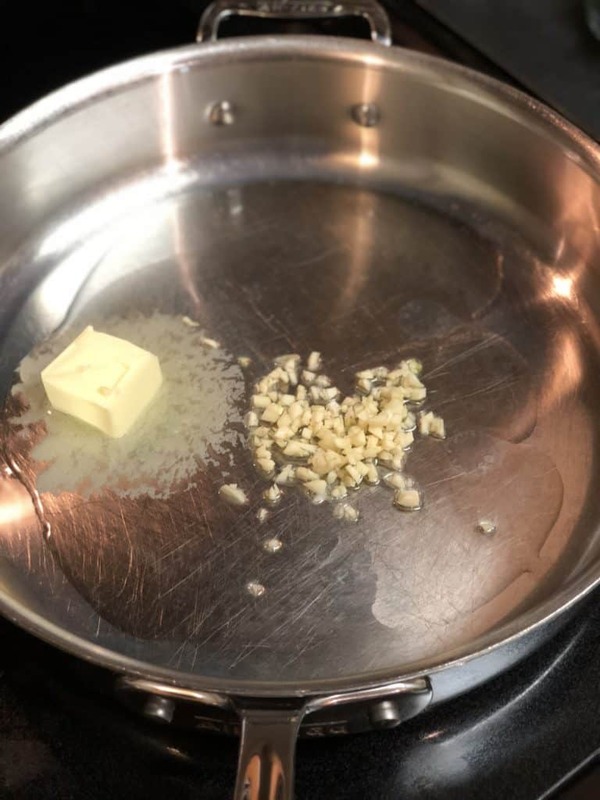 Bring to a heavy simmer and place lid. Allow clams to open fully. This should not take very long when using Little Necks…if any of the clams do not open…discard immediately. Add 1/2 lemon zest, lemon juice and fresh parsley. 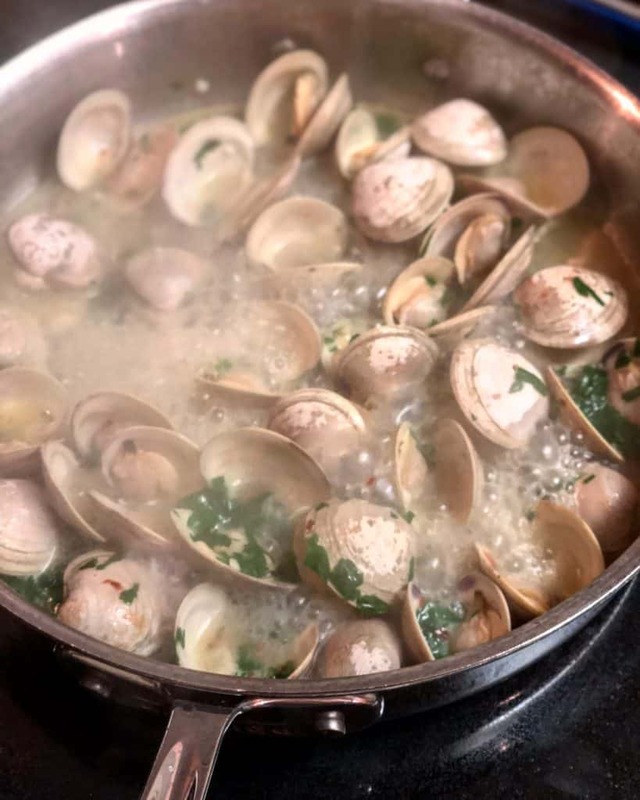 Transfer the pasta directly from the water to the pan and mix to coat with the sauce and clams. 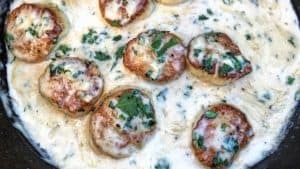 Add a touch more fresh parsley on top and a few extra red pepper flakes if you so desire. That’s it…dinner is done!